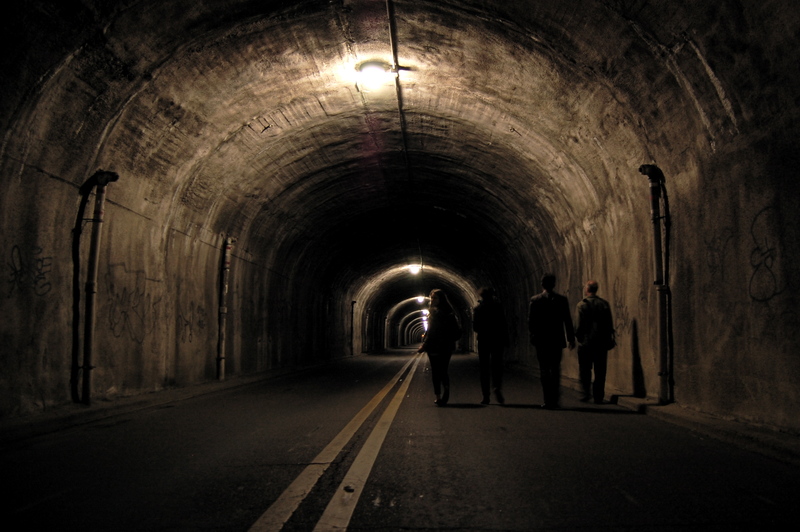 I let the group walk ahead a little bit to get this shot of them walking through this bus tunnel in Providence, RI. This is an amazing spot for some gritty light shooting. We had a belly full of real Greek cuisine and decided to take a shortcut back to see Waterfire, where floating metal mesh firepits are fed with support boats until midnight. Music is piped through the entire riverside with food vendors lining the streets, outdoor bars, living statues, glass blowing demonstrations, and the warm glow and familiar feeling that a bonfire always brings to the surface. Providence almost feels like a different country on these nights, and walking under bridges with oil candelabras has a feeling that feels oddly like you are wandering through some Western Europe canal city. There are some live performers spinning fire while you are sitting at river level leaning against a warm block of granite soaking in the sights. 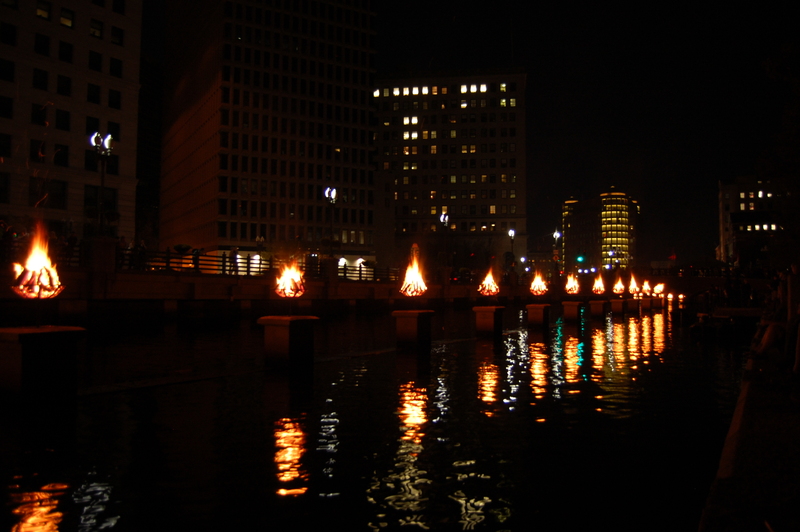 This night’s particular Waterfire event was a benefit for breast cancer awareness. 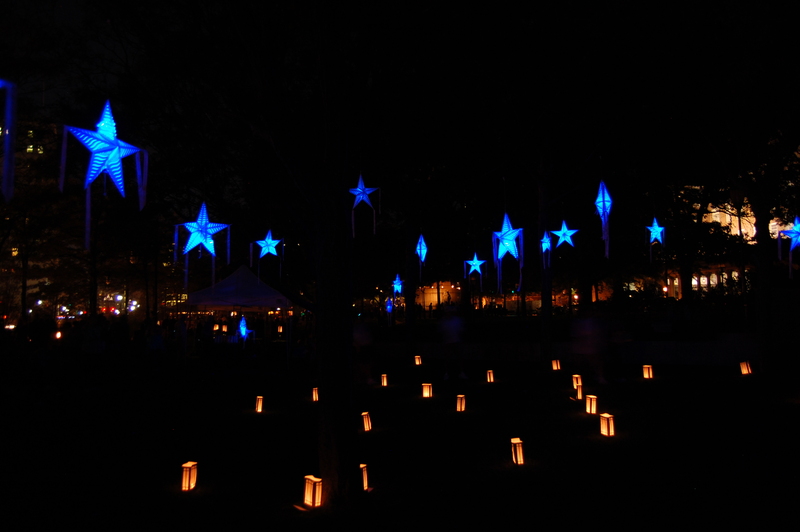 There was a small park with luminarias that could be purchased for dedications. Wishes could also be purchased and hung from blue illuminated stars with all proceeds benefiting breast cancer awareness and research. As beautiful as these dedications were the messages were sadly reflecting a battle lost to cancer.